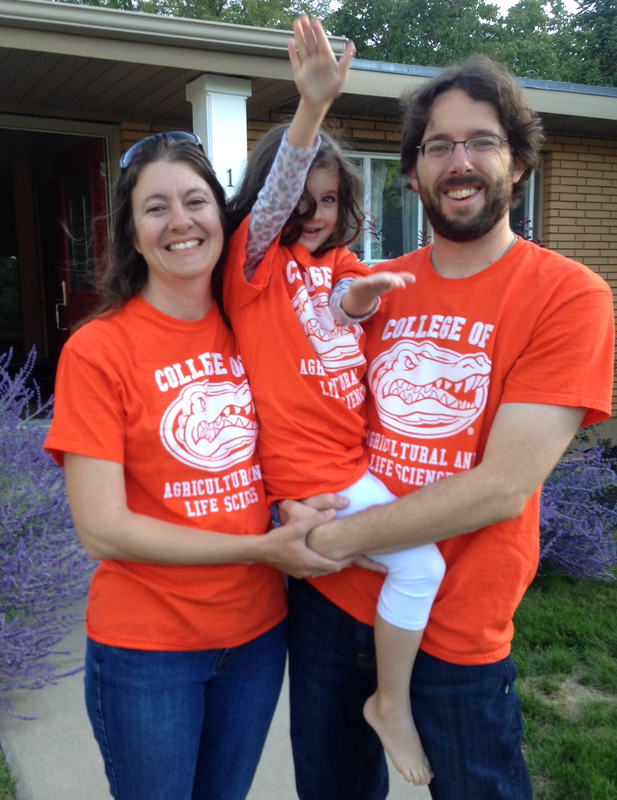 We are excited to announce that Weecology will be moving to the University of Florida next summer. We were recruited as part of the UF Rising Preeminence Plan, a major hiring campaign to bring together researchers in a number of focal areas including Big Data and Biodiversity. We will both be joining the Wildlife Ecology and Conservation department, Ethan will be part of UF’s new Informatics Institute, and Morgan will be part of UF’s new Biodiversity Initiative. As excited as we are about the opportunities at Florida, we are also incredibly sad to be saying goodbye to Utah State University. Leaving was not an easy decision. We have amazing colleagues and friends here in Utah that we will greatly miss. We have also felt extremely well treated by Utah State. They were very supportive while we were getting our programs up and running, including helping us solve the two-body problem. They allowed us to take risks in both research and the classroom. They have been incredibly supportive of our desires for work-life balance, and were very accommodating following the birth of our daughter. It was a fantastic place to spend nearly a decade and we will miss it and the amazing people who made it home. So why are we leaving? It was a many faceted decisions, but at its core was the realization that the scale of the investment and recruiting of talented folks in both of our areas of interest was something we were unlikely to see again in our careers. The University of Florida has always had a strong ecology group, but between the new folks who have already accepted positions and those we know who are being considered, it is going to be such a talented and exciting group that we just had to be part of it! As part of the move we’ll be hiring for a number of different positions, so stay tuned! My goodness, those sure are orange. Thanks Brian! That means a lot coming from you.